Activity around London’s waterways – including 600km of rivers and canals as well as hundreds of hectares of docks, reservoirs and wetlands – is surging. The Port of London Authority anticipates more freight along the Thames and a doubling of yearly boat passengers to 20m by 2035. Much of this increase will come from London’s largest Opportunity Areas, anchored to the Thames, Royal Docks, Lea Valley or Grand Union Canal, and promising a combined 194,000 homes and 230,000 jobs. On the other end of the spectrum, a range of projects are highlighting hidden rivers and ‘rewilding’ waterways. Varied as they are, all of these schemes promote London’s waterways as places for living, working, leisure, nature, commuting, freight and climate change resilience. Rivers and canals criss-cross the city, offering boroughs, the GLA, housing providers and community groups opportunities to make the most of these valuable assets. It’s not all smooth sailing. Construction on or near water can be expensive and difficult. Swelling waterside land values exacerbate London’s affordability crisis – which has been pushing more Londoners to choose houseboat living, itself rapidly becoming unaffordable and heightening neighbourhood tensions. As transport infrastructure, waterways are often disconnected from London’s ‘mainstream’ transport network, and central London’s piers are already near capacity. Environmentally, activities near water have implications for biodiversity and flood risk. Balancing the conflicting demands of such wide-ranging uses adds another layer of complexity. On top of all of this, fragmented ownership and management of waterways and related infrastructure means a host of governance challenges. Future of London’s Water Works project will take a deep dive into strategies, policies and partnerships being used – in London and beyond – to better manage competing demands and drive sustainable development around waterways. Running throughout 2019, the project will share experiences and expertise from our cross-sector network through field trips, a full-day conference and roundtable. 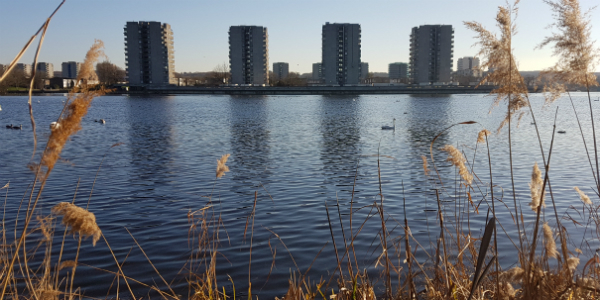 We’re keen to connect with organisations delivering interesting schemes, policies and strategies around waterways throughout London. If you have experience to share, would like to host a field trip, or are interested in partnering with us on this project, contact Amanda Robinson.